This morning on my personal Facebook page I posted a rant for my status update. I ranted about online family trees that were rife with huge errors. Errors that included linking a census record for a man aged 29 to a man of the same name who was over 70. And yes, the owner of the tree had his birth year correct in the tree. A second error involved a marriage to his wife, correctly identified in this online tree. Children born to the couple were also correctly identified with birth years beginning in 1801. But the tree owner linked to a marriage in 1832 stating this was for the man and his wife. Not only is that impossible given the birth years of their children but a quick click on the link showed the marriage to be in a different state and for a man with the same name but marrying an entirely different wife! And so I vented, expressing my dismay at the public posting of a tree so obviously incorrect. And the fact that at least six other researchers had copied the mistakes and posted them to their own public trees. My rant, to my surprise, generated a heated discussion! It's been very interesting and some excellent ideas and suggestions were given for combating these types of errors without becoming the genealogy police. It's tricky to critique another person's tree. Most of us don't take kindly to being told we're wrong. And it doesn't seem to matter how gently or kindly you express it, the bottom line is - you're telling someone they goofed. Most of us agreed that the best method is to instruct through online tutorials, webinars, video how tos, to be come a mentor and to lead by example. I often write articles that I hope will guide those new to genealogy and help them become better genealogists. You can find some of these on Olive Tree Genealogy blog under the topic heading TUTORIALS in the right side nav bar. And there's an abundance of material out there to allow all of us, from the beginner to the experienced, to learn something new. These issues have long made me want to rant and rave. I think teaching and helping is great and will help a lot of people but I'm afraid there will be those who don't want to take the time for even free lessons and won't believe they can or have made those types of mistakes. The main thing is to be careful with what you accept into your own information. I'm not a credentialed genealogist and the citation police would definitely pull me over. I don't put my tree online because I don't have correct citation form, but I do write a family history blog. Anyone interested in my research can ask for sources (which I do have). I've had someone try to to help by offering additional info, but a simple comparison of the dates/ages I included made their info invalid. I tactfully tried to point out the discrepancy and didn't hear back. It's bad enough when you find a bad tree; it's worse when the bad info finds you. I can so feel this post! Nothing like getting a member connect activity notification for a source that you have used, only to find that it's been linked to a person that clearly isn't correct. But what to do at that point. I myself, have indeed sent a kind note "it appears that you attached this census record to a person in your tree... if you review the information you'll find that this is not a correct use of this source for this person." My comments are usually met with "yes, I'm just starting and may have made an error there" or no reply at all. In the meantime they rarely correct the error and the tree is copied and copied and copied... you get the idea. I would love to read your rant, betting that it sounds very similar. Sure Ancestry is great, but people join, find a tree that matches, copy it and they're "done". Along comes another and another and another. No fact checking, no real look at the source - which is typically another tree. That's not research and new folks need to be informed, without feeling that they've made a huge error - guidance is needed and many times offered, but often not taken that way. Online tutorials, webinars, video how tos, mentoring, and leading by example will not change the obviously incorrect information you described. Telling someone to interpret sources correctly will not lead them to analyze all 39000 names in their copied tree. My opinion is that all online tree systems should have a ranking system, from "Totally Incorrect" to "Plausible With No Sources" to "Correct and Sourced." Visitors could then rank the information for each family group they see. Tree with a high "correct" ranking can be shown at the top of results and "incorrect" rankings can be hidden or shown at the bottom of the list. Any family group consistently listed as "incorrect" would not be able to be downloaded, shared, or linked from within the tree website. We should not spend any time dealing with people who can't appreciate someone else taking the time to help them correct their tree. Of course, engage people politely when you find bad information. But if they reject your help and don't make the changes, then you should feel free to tell people how bad the information is. Unfortunately, there is no way to prevent or correct this; and unfortunately there is no way from stopping the sheep from following. Chin up and continue your course of writing, instructing and mentoring. Tim, that is the phrase I used in my rant on my Facebook page this morning -- "the genealogy sheep"
I have come to the conclusion that it is a waste of my time and energy to try to convince one individual at a time of specific errors in their tree when I find one. I'd far rather spend that time writing and getting my own research right. Frances - if only we could magically give critical thinking skills! But we can't so the best we can do is mentor and guide and help. Cindy - all too true. I haven't encountered many people in my 35+ years of researching who say "gee thanks for telling me my tree was wrong!" In fact one woman told me years ago that I "spoiled" a family story when I showed her the proof that she was not related to her husband through a common 8th great grandpa! Rita - absolutely! Verifying everything you find, offline and on, is the key to an accurate family lineage. Sometimes by telling people privately that their information is incorrect, we have opportunities to not only correct them, but also to inspire them. Occurrences like these are rare. I've been lucky to have been rewarded for my time and effort on a few occasions. I love David Freeman's proposed ranking system for online trees, but how could it be implemented? I had someone message me about something I'd added mistakenly and I was grateful but I've sent messages to others suggesting that they might want to have second look and even provide proof and in only one case did the person thank me and correct it. I agree with all the above! I have seen so many ridiculous errors in trees where the date is so obviously wrong that I gnash my teeth loudly! One very gentle reminder to check dates when inputting ancestors... got me a surprisingly nasty & highly sarcastic reply! So I replied that I'd sent feedback but really, it was totally up to them what they wanted to do with it - including dump it in the garbage. Oh well. In a few years, they may be more willing to learn to be more thorough. Sigh. There needs to be a BIG sign that most trees have errors in them (small to huge!). Mine included. I'm still digging out the bits and pieces of errors I've accumulated. Thanks for ranting for us all! I got so fed up with people lifting details from my Ancestry tree and adding them incorrectly into their own, that I've now marked it as private and invite only those I know and trust. It's still in the search index so those that are interested can find it and ask for the information. Early on I made a couple of mistakes with the wrong maiden names/marriages of women in my Ancestry tree. I've since corrected them but the mistakes live on in several trees that copied off of mine. I tried contacting some of the people but they apparently refused to correct errors they copied of me! Perhaps a filter should be installed on all the firms which except family tree downloads. The filter would recognize obvious errors ie impossible dates, people born in MA before 1620 etc etc.. Let's recognize that some are human errors perhaps in copying records and the like. I know I would be appreciative of catching an error unknown to me. Totally agree with about everything said. We all know that some folks are only concerned about how many names they can accumulate. A bit like "whoever has the most toys wins". I personally think Ancestry contributes to this by allowing the most ridiculous things to be shown as sources. I've had people show an e-mail from me as a source. Get real! Family Tree maker has such a filter about marriages and children's dates of birth. It will pop up a question asking you if you want to include information that is questionable. Many of the trees on Ancestry.com show several "sources" but when you analyze them, you find that they not only do not prove the assertion, but disprove it. I wish that people would realize that their research needs to go beyond what is available on Anestry.com. Another family tree even when it is supposedly sourced, is not good enough. I've also kept my family tree private. Sometimes I think in the excitment to promote genealogy we hide the hours of research and hard work involved in locating and authenticating lineage accurately. The show Who Do You Think You Are? is particularly guilty of making the process look far too simple. In am incensed every time I hear about people not paying attention to simple details which are usually most obvious. I had an issue with my cousin's wife -- taking my documented information and adding children who were born before the parents were married. It is difficult to know what to do - I would hate not to share what I have found but it does cross my mind to make my tree private. Oh I can so empathise with your rant! Yes teaching and educating may help those who care enough to learn, but agree with Frances, that critical thinking skills seem to be severely lacking. None of likes being told we've got it wrong but surely it's better to say "whoops I goofed" and fix it, than have everything incorrect forever. I've tried to tactfully correct some information, or suggest citations (however worded) be added, or that the wonderful but nonsensical family story needs researching not just blind faith. I guess we just have to live with it, but it's why I just don't touch Ancestry trees, except for my own convenience. It's really interesting reading all of your comments. I don't merge online trees with mine - ever. But I do use them for clues which I track down on my own. If something is found to be correct, then I add it manually to my tree. I'm not in favour of policing or ranking online trees. And I don't personally want Ancestry or other sites to be "tree censors" or have some method of not allowing proper sources. My rant is about those trees that are just blind copies of a glaring error that should have been spotted! And of course the original tree with the error is high on my list of pet peeves. And since we can't feasibly teach critical thinking to strangers, my wish would be that those who make such glaring errors would accept corrections gracefully and gratefully. Then fix them. Is it definitely the tree (the research) that is wrong, or is it just that the wrong sources have been added to the wrong people? I have recently uploaded my tree to Ancestry and it's easy to do. If you have Dad, Mum and kids that have the same names, it's easy to link the correct record but to the wrong person. But a lot of 'copy and paste' genealogy goes on, I will admit, especially if they are only collateral lines and not your direct ancestor. I did make the mistake early on of doing some cut and paste work on my family tree, but when I found the error, I corrected it. 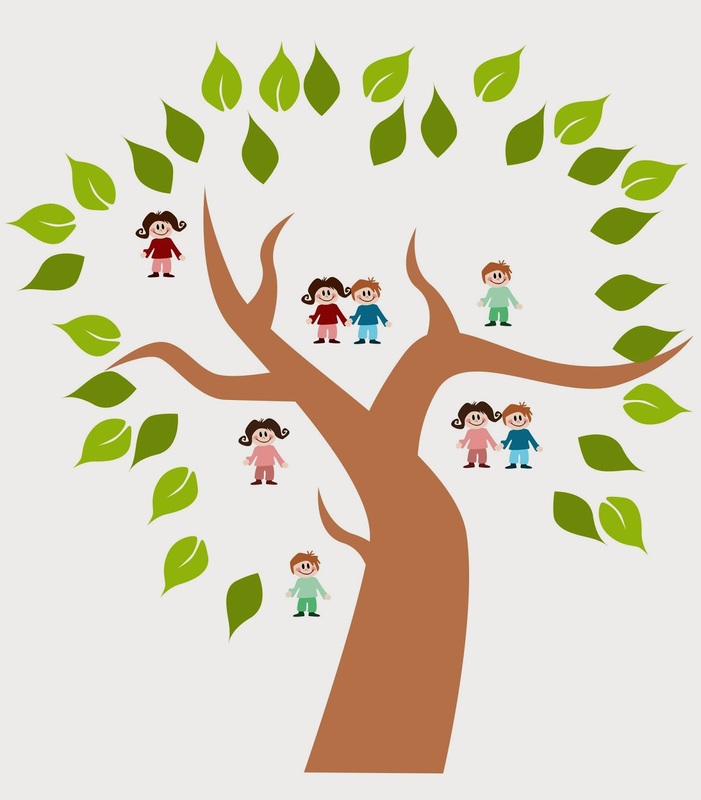 I have connected to trees of family members I know, but I largely ignore hints from family trees from the general populace. Rejoice in the fact that you have put a single budding genealogist on the right path rather than focus on the 99 genealogy sheep that are still astray. The sheep are looking for greener pastures, and unfortunately, they get focused in on the "story" instead of the facts. The genealogists are searching for the history, and the paths they use to find it aren't always easy, but they are those that are accurate and true. I've had good results by putting the shoe on the other foot. I have sent my info (which conflicts with their illogical version) and asked them if they would please share their proof that I have made errors. Often in that process they see their own goofs, without being totally embarrassed in the process. I have a couple of lines that have been researched and written about for 100 years. In the 1990s I was thrilled; now I'm tearing my hair. On one of my lines, a name searcher has found thousands of people and I've had to search every page for my possible ancestors, then check her logic, then look at her sources. She's very good, but it's as if she's sucked all the air out of the search. I track her sources, find her data confirmed, and nothing beyond that. I like that phase: "the genealogy sheep." There’s also “genealogy fiction”. I see glaring errors made by people who should know better, so is it little wonder why new comers believe whatever they find printed. I just found a site where a man is shown married to his mother’s sister. I’m really working on the second part of his advice. Drives me nuts when I see it. Usually I find it when it's too ate and have to correct a mess. Yes, ranting is definitely appropriate here. Another problem of copying these trees and following the green leaf hints willy-nilly occurs at meetings and lectures when a newbie comes up to me and proudly tells me how wonderful it is that he/she or a cousin has just gotten started but they have their ancestry back to a royal family in the 1200's. My approach has been to include some sort of caution in every talk and then to just bite my tongue at these comments unless I am asked for my opinion...then I am duty bound to advise them to be cautious. But they don't get their feathers ruffled because I didn't say they were wrong (who knows, perhaps they are correct...stranger things have happened), I only advised them to check and cross document because someone else along the way may have erred. And I thought I was the only one. I have been doing my tree for about a year. On and off. Many times I have found members of my family on peoples trees. They don't get cross references or do the math on births and how old they were in a census 30years later. Sometimes it seems like they just want to make a big tree.